Hands up anyone who can remember what Hiccup’s disability is in the How to Train Your Dragon movies. No? Well, he lost his left leg, and needed a prosthesis. Now, don’t be sorry or feel you have to apologise for not remembering that, because for once, Hiccup’s disability didn’t define his character, or stop him continuing to take to the skies with Toothless. It’s an almost perfect representation of a disability as portrayed in a movie. It gets a scene, and an acknowledgment, and then the character carries on as before. But as Jenni Gold’s perceptive and illuminating documentary shows us, it’s not always been this way. Beginning with a look back at the very early days of cinema, and the first portrayal of a disability in the movies, in The Fake Beggar (1898), Gold shows how Hollywood (in particular) and disabled characters have had an uneasy relationship. The standard approach was accepted but patronising: if you’re disabled and good, you’ll be rewarded; if you’re disabled and bad, you’ll be punished. Stereotypical approaches such as these lasted for a long time, and though ex-Army veteran Harold Russell came along in The Best Years of Our Lives (1946) and impressed both critics and audiences alike (and bagged two Oscars for his role in the process, a feat never repeated since), disabled people were still cruelly under-represented in movies and television until the Sixties, when attitudes began to change and disabilities began to be portrayed in a much more responsible, and more inclusive, fashion. From TV’s Ironside (1967-1975), to the Oscar-winning Coming Home (1978), disabilities started to become more and more accepted in the mainstream, but as CinemAbility points out, it was a slow process. Momentum continued to be gained through the Eighties and Nineties, but it’s only really in the last fifteen years or so that portrayals of disability have become more prevalent and/or accepted. 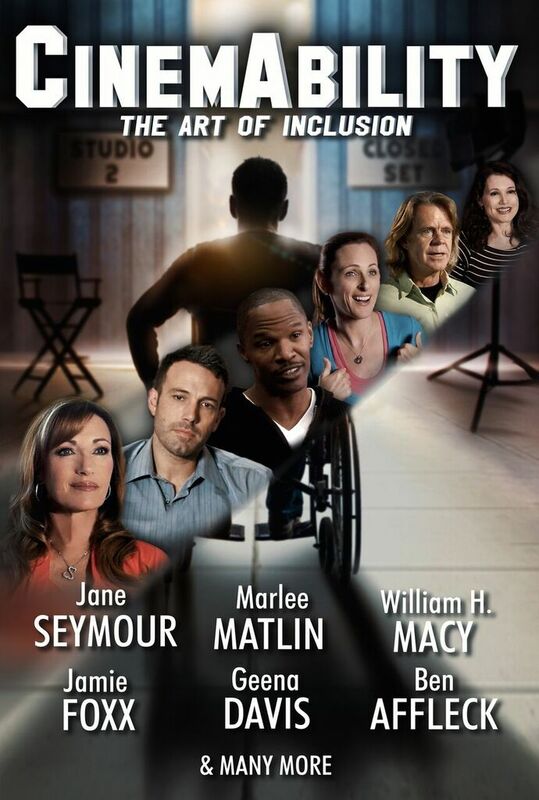 There’s still the old argument about whether a non-disabled actor should play a disabled character, and some movies, such as Million Dollar Baby (2004) still come under fire for being ostensibly negative, but by and large the industry is getting to grips with the idea that disabled characters are a part of society and shouldn’t be excluded. For many of us, disability is something that we’re aware of, but don’t always see. Perhaps the most telling moment in the movie is when William H. Macy, who has been a spokesperson for United Cerebral Palsy since 2002, admits that the script he’s currently writing doesn’t include a disabled character – because he never thought of it. And if anything – and aside from all the expected quotes about how disabled people shouldn’t be treated differently, and how they can do anything that “normal” people can do – Macy’s admission is the key to the whole issue: if even those with a good understanding of disabilities aren’t on the “right wavelength”, how can progress be consistent? Or be counted as progress? It’s a weighty message in a movie that strikes a fine balance between the seriousness of its subject matter and the humour that’s never too far away from the whole issue (witness the clips from Jim Troesh’s The Hollywood Quad (2008) and make your mind up if laughter and disability can’t go hand in prosthetic). Gold has assembled a good selection of disabled and non-disabled interviewees, all of whom offer views and opinions that are relevant, and the historical perspective allows for glimpses of political and social advances through the years, and the impact they’ve had on the disabled community. It’s a thought-provoking documentary, honest and sincere, and very, very entertaining. Rating: 8/10 – with a plethora of anecdotes and reminiscences that illustrate the continuing struggle that disabled actors and movie makers have in being accepted on the same level as everyone else, CinemAbility is a timely reminder that there’s still a lot of work to be done in achieving full inclusivity; touching on key milestones such as The Miracle Worker (1962) and My Left Foot (1989), there’s a wealth of overlooked detail here that also serves as a potent reminder of what has been achieved so far. There are very few times when directors manage to achieve fully the vision they have for their movies. Some have pet projects that they wait years to bring to the big screen, but when they do, they’re not always successful. Some movies have audiences wondering what on earth the director was thinking of, some can be filed under glorious failures, while others achieve the distinction of gaining a cult following. 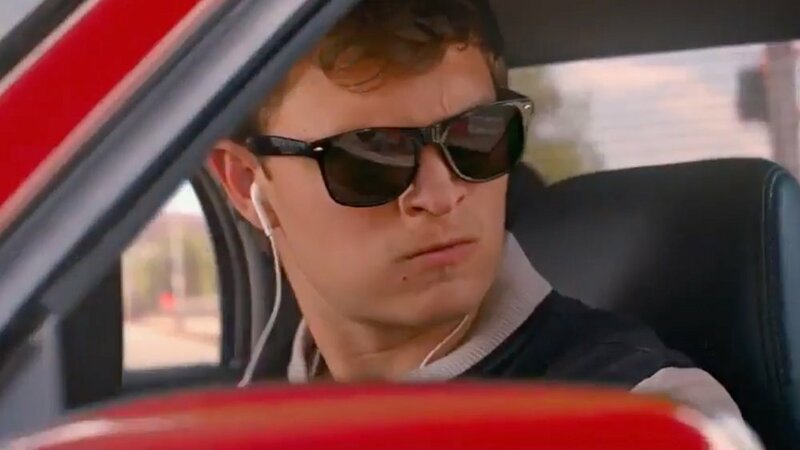 None of these apply to Edgar Wright’s Baby Driver, a movie that zooms onto our screens like a gust of fresh air designed to blow away all the horrendously bloated blockbuster movies that have been foisted on us so far this year. Wright’s ode to fast cars, old-fashioned meet-cute romance and killer tunes is quite simply, a blast. If this is your kind of movie then you are going to have an amazing time. And if this isn’t your kind of movie… well, that’s a shame, as you’re missing an absolute treat. 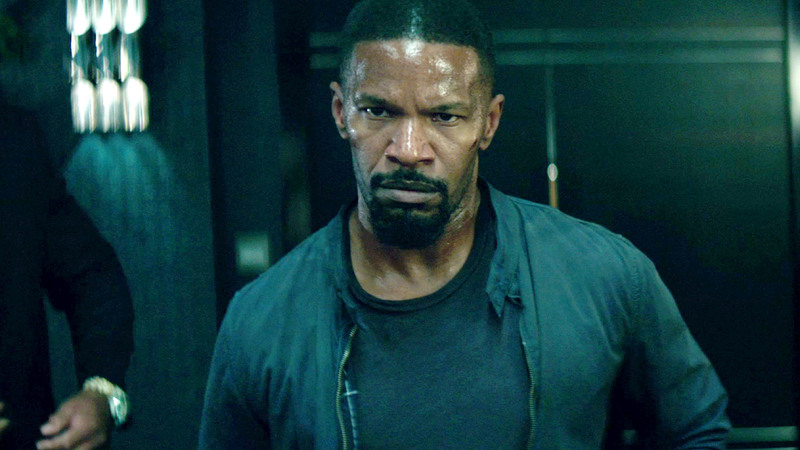 Wright has made a movie that is energetic, soulful, visually arresting, and chock full of great performances, from Spacey’s criminal mastermind to Foxx’s psycho with extra attitude. 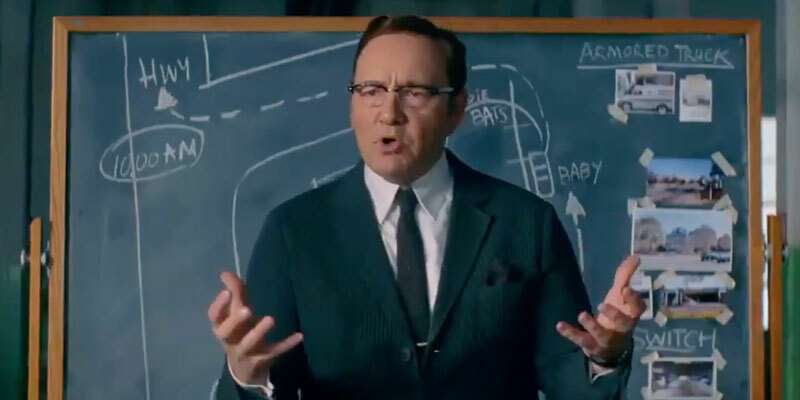 The story is a simple one: Baby (Elgort) owes Doc (Spacey) for trying to steal his car when Baby was younger. By being the driver on bank robberies that Doc has set up, Baby’s debt diminishes with each job. With one last job to go before the debt is fully paid, Baby meets waitress Debora (James), and suddenly he has a reason to move on with his life. From the start, Wright displays a flair and a confidence that elevates the material to greater heights than anyone could have expected. 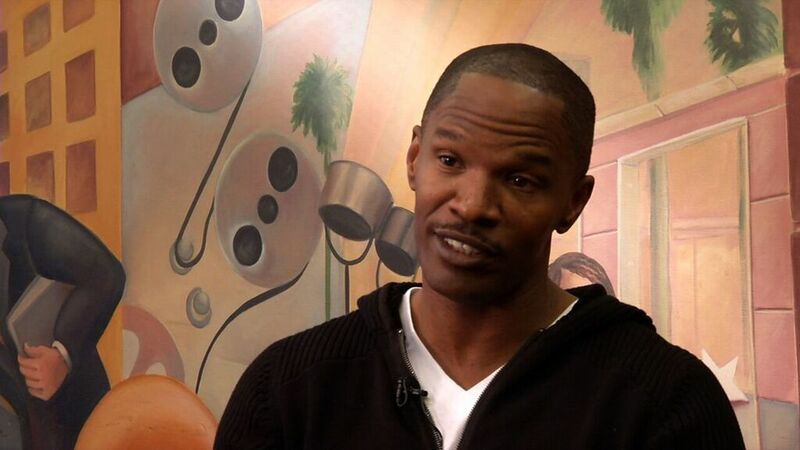 Expanding on an idea he had back in 1994 – and which he first explored in the 2003 video for Mint Royale’s Blue Song – Wright has written, constructed, and brought to life a movie that celebrates love, and a passion for music that is a form of love in itself. Baby suffers from tinnitus, a “hum in the drum”, and he uses music to drown it out. This gives Wright the chance to flood the soundtrack with an array of carefully and aptly chosen songs that punctuate and inform the mood at any given time. Some choices might seem counter-intuitive (Focus’s Hocus Pocus for a foot chase? The Damned’s Neat Neat Neat for a robbery getaway?) but they all work, adding to the clever visual and aural stylings that Wright employs throughout. But while the soundtrack is the key to much of what is going on emotionally in the movie, it’s the look of it that clinches our involvement. Wright is supremely confident when it comes to placing and moving the camera, and some of the angles and shots that he conjures up are nothing short of breathtaking. An early scene where Baby waits outside a bank and is listening to Bellbottoms by Jon Spencer Blues Explosion offers the viewer a bravura expression of Baby’s love for music and the way it can motivate and uplift him. This is only Elgort’s eighth movie, but his performance is a far cry from his usual pouty roles in a variety of YA movies. The pout is still here but it’s reined in for the most part, and seeing `Baby “rock out” to various songs in the apartment he shares with his deaf foster father (Jones) shows an ease and a loosening of attitude that is a good sign for any future roles. But Baby Driver isn’t just a visually arresting movie with a terrific soundtrack, it’s also a tender romance and a cracking thriller. The relationship between Baby and Debora could have been a little too saccharine in comparison to the more muscular action elements (of which there are plenty), but Wright is wise to this and keeps it all light and dreamy, a forever fairy tale approach that works well against the macho posturings of the crews Doc assembles. James and Elgort have an easy-going chemistry, and their scenes together are funny and sweet and engaging. 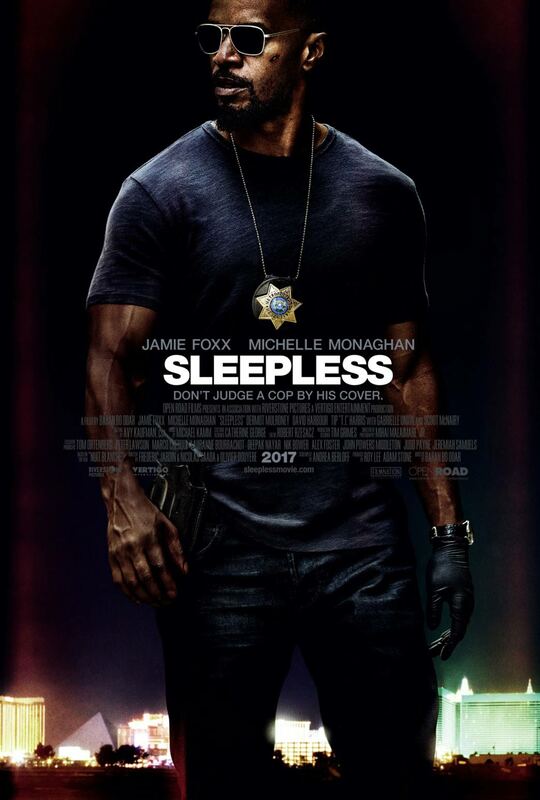 On the other side of the fence, Foxx is brusque and confrontational as psycho-without-an-off-switch Bats, Bernthal is another crew member who picks on Baby to no avail, while Hamm goes from amiable robber to avenging killer once the final robbery goes wrong. These are all good performances but they’re topped by Spacey’s sinister yet urbane Doc, a character you actually want to see more of, but who Wright wisely uses sparingly. The action scenes are all very well choreographed, with the first car chase at the beginning of the movie (and which features that manoeuvre from the trailer) proving to be one of the best action sequences you’re likely to see all year. Wright shows a tremendous sense of space and distance in these sequences, and the camerawork by DoP Bill Pope is magnificent, propelling the viewer along with Baby et al, and providing enough breathtaking moments for two movies. And even when Wright slows things down in order to advance the plot, there’s still a sense of energy waiting to be released, of power straining at the gate to be let loose. And with the next squeal of tyres there it is, and off we go again. This isn’t a movie though where the characters are secondary to the action, or play second fiddle to a script that doesn’t make sense. It’s a fairly simple, straightforward movie that looks amazing but still manages to retain a heart and a soul thanks to its romantic elements, and to the way in which the characters interact with each other. There are moments of humour, too – how could there not be in a movie by Edgar Wright – and they fit right in with all the other elements, unforced, and keeping the tone from becoming too serious. Wright balances all these elements to perfection, and there aren’t any scenes that either feel extraneous or tonally at odds with the rest of the movie. All in all, a tremendous achievement, and one that at long last proves that mainstream moviemaking doesn’t have to be loud, brash, overly reliant on CGI, and devoid of a coherent story and plot. Hollywood – take notice. 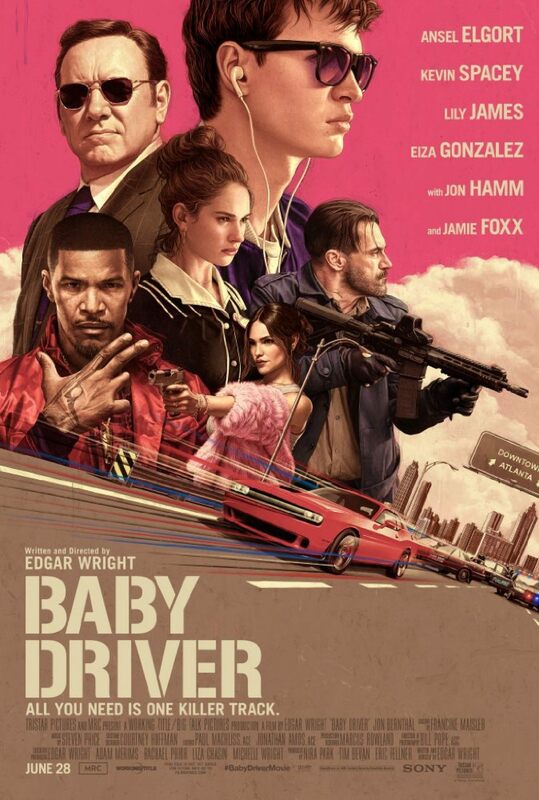 Rating: 9/10 – the first bona fide all-round success of 2017, Baby Driver is a triumph of style, visuals, acting, directing, writing – hell, everything, and a movie to be savoured just as much for the things it doesn’t do as the things it does; and of course it has possibly the coolest soundtrack of the year as well, a feast for the ears that contains so many gems that you won’t be able to decide which one to hum as you leave the cinema. With this instalment – number two of four – the Spider-Man reboot continues to enervate and aggravate at the same time, and in many ways that are similar to the first movie. The movie opens with a flashback to Peter Parker (Garfield) as a young child being left with his Uncle Ben (a non-returning Martin Sheen) and Aunt May (Field) while his parents, Richard (Scott) and Mary (Davidtz) head off for parts unknown. So far, so retread of the opening of the first movie, but this time we discover what happened to Peter’s parents, and are given a brief glimpse into its importance in the series’ overall plot. From there we pick up with Peter and Gwen Stacy (Stone) in the aftermath of The Lizard’s rampage and the resultant death of her father. Peter’s promise to keep Gwen away from danger prompts him to end their relationship, despite Gwen’s protests. At Oscorp, prodigal son Harry (DeHaan) returns from abroad at the request of his dying father, Norman (Cooper). Given control of the company, and its secrets, Harry also discovers that the illness that is killing his father will also kill him. When Norman dies, Peter hears about it and goes to see Harry to offer his condolences. They pick up their old friendship, while back at Oscorp, loner employee Max Dillon (Foxx) – whose life Spider-Man saved in the opening chase sequence involving future-Rhino Aleksei Sytsevich (Giamatti) – ends up electrocuted in a tank full of electric eels. When he awakens some time afterward he discovers he can control electricity. Still adjusting to his new-found power, Max and Spider-Man have a showdown where Max is captured and sent to the Ravencroft Institute, a facility for the criminally insane that is run by Oscorp. Under the instruction of Oscorp lawyer and bigwig Donald Menken (Feore), Max is “studied” by Dr Kafka (Csokas). Harry learns that the research conducted by his father and Richard Parker may be the key to stopping his illness. He asks Peter to contact Spider-Man with the intention of securing some of the web-slinger’s blood. When Peter (as Spider-Man) refuses to help him, Harry is enraged, and vows to put an end to Spider-Man. Meanwhile, Peter and Gwen try to be friends (but without much success), and Aunt May gives Peter a clue that might help him discover the truth about his parents’ disappearance. This leads to an abandoned underground station, and a revelation that reinforces Peter’s decision not to help Harry. When Harry tries to access certain Special Projects files, he’s unceremoniously dumped from Oscorp by Menken, but not before he finds out about Max and his incarceration at Ravencroft. 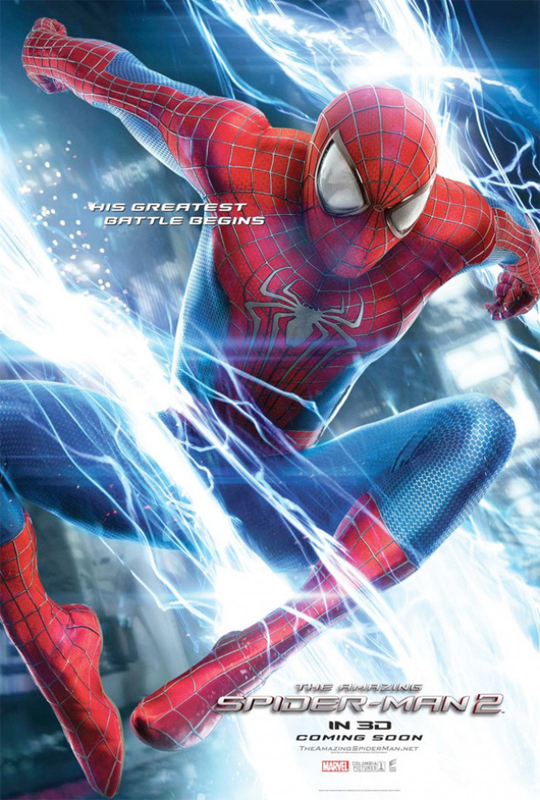 He frees Max – who now calls himself Electro – and they take back control of Oscorp. Harry forces Menken to inject him with the spider serum but it has the predictable adverse effect. He makes it to an exo-skeleton that has restorative and battle-focused properties and he survives, just as Electro and Spider-Man face off against each other again. Where the movie works best is in its widening of the Spider-Man universe, and adding an extra layer of depth to the main characters that doesn’t always happen in sequels. Peter’s ambivalence towards his relationship with Gwen is well-played, and Aunt May gets perhaps the best scene in the movie, while newcomers Harry and Max are painted with broad but effective brush strokes, although Max’s temerity and innate humility are jettisoned half way through to enable a more threatening second encounter with Spider-Man. As the main villains, Foxx is on impressive form, particularly in his pre-Ravencroft scenes (including a suitably awkward elevator encounter with Gwen), while DeHaan does more than enough to prove that he’s not just replicating his performance as Andrew in Chronicle (2012), despite the similarities in the two characters. Sadly though, the dreadful faux-Nazi/Dr Strangelove caricature that is Dr Kafka is the one character that will have everyone asking themselves, Really? and is the movie’s biggest misstep. Tonally the movie flits between standard romantic drama, broad comedy (witness Sytsevich’s humiliating capture), overly stylised and over the top action sequences (with the by-now dramatically redundant but seemingly unavoidable mass destruction of property), cautious morality piece, and less than low-key father/son entanglements. Some aspects don’t work as well as others – Spider-Man’s saving of a small child from bullies that leads to a very unlikely moment later on; Harry’s mastery of the exo-skeleton and its systems in about five minutes flat – while Webb’s direction, slightly off in the first movie, doesn’t improve here, leading to the movie having a surprisingly listless quality, where the highs don’t have the impact they should have, and the lows all operate at the same level. 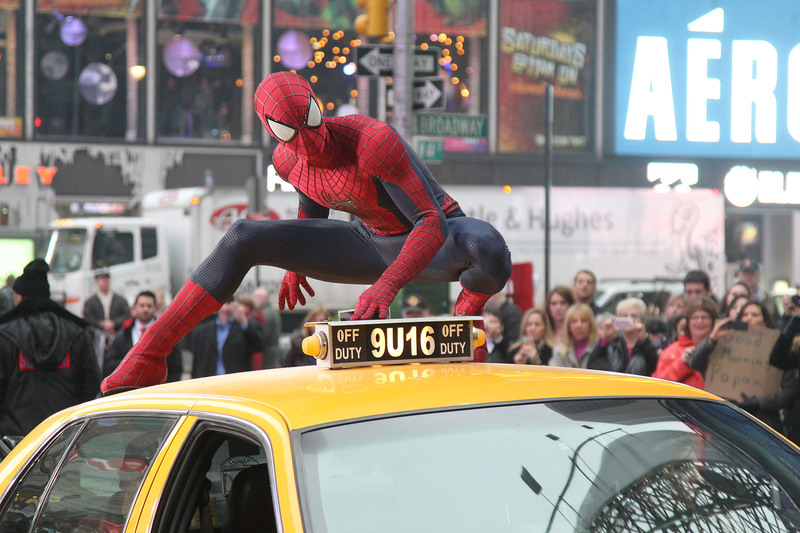 There’s a lot going on but for a Spider-Man movie there really isn’t any “wow” factor; even Spider-Man’s aerial acrobatics, though better filmed than ever before, still have that “seen it too many times before” feel to them. As the movie progresses into its final third there are some narrative lapses that undermine a lot of what’s gone before, especially considering the care that’s gone into the movie’s structure up til then, and one character’s emotional crisis is resolved in pretty much the blink of an eye, but it’s not enough to completely ruin things. There’s one climax too many – and particularly as the last one is a bit of a throwaway – and too much is left unexplained in terms where certain characters end up (and how). It makes for a disappointing ending and seems more about prepping audiences for part three than rounding off part two. Rating: 7/10 – a solid sequel that builds on its predecessor by consolidating that movie’s strengths, The Amazing Spider-Man 2 still isn’t as invigorating or rewarding as it would like to be but is certainly more confident; not the best Spider-Man sequel but considering its collision of villains, not the worst either.